My time in Winchester, New Hampshire was very short. 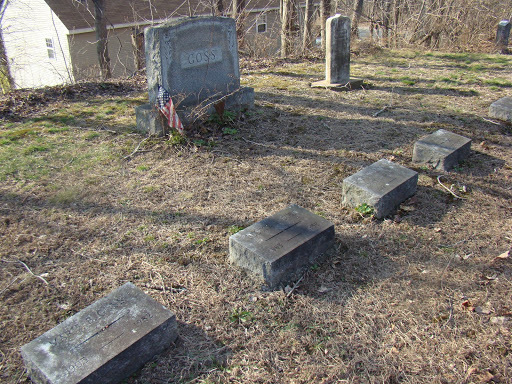 The goal had been to find Philip and Hannah Goss grave sites at the Evergreen Cemetery. Having accomplished that goal I went in search of their son Philip Goss who married Esther Gale. 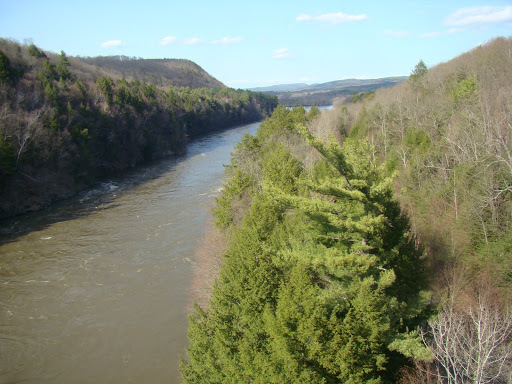 I took Hwy 10 south to Northfield and skirting the Connecticut River. 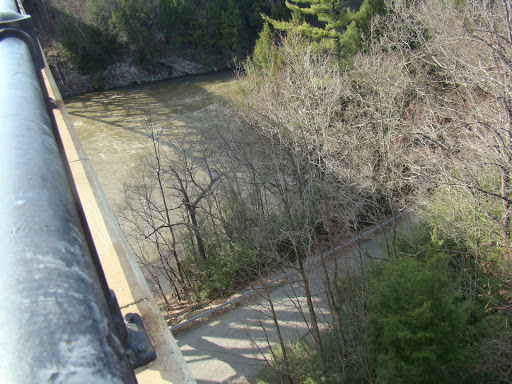 I turned west on Hwy 2 and crossed the French King Bridge. What an awesome bridge. Greenfield is where you will find the Registry of Deeds for Franklin County but the dates will be later. They do have abstracts of the earlier deeds. (See link to the right for this Registry).) They have a library in Greenfield that has an historical room but I think you need to make an appointment. 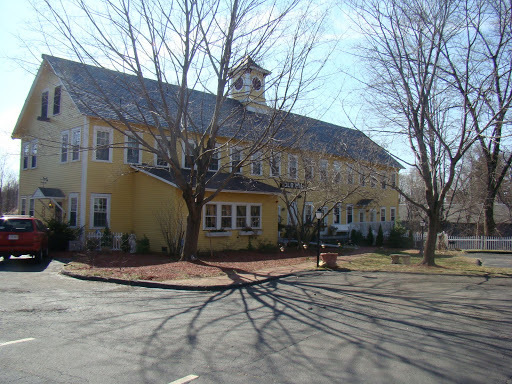 I was thinking of staying in Deerfield for the night but discovered the Old Mill Inn in Hatfield and decided that was more on my route. Besides I didn’t have time to dally and this is suppose to be a really historical place to visit: http://www.historic-deerfield.org/ Instead of going to Greenfield and Deerfield I turned left at Main Street and went over a bridge cross the Connecticut River again. There was construction and the bridge was down to one lane going south?) and headed south to Montague and the Burnham Cemetery. I did go a little to far and ended up in across another bridge and in Cheapside and had to turn around. 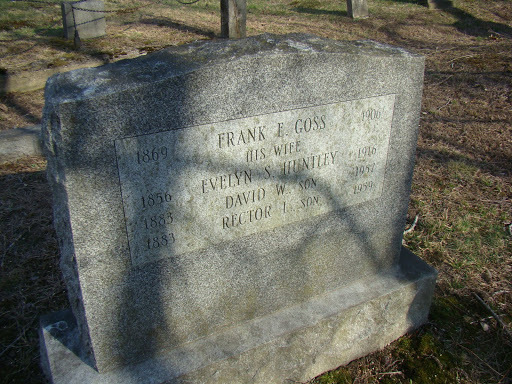 Philip and Hannah Goss’ son Philip who married Esther Gale left Winchester, NH and migrated to Montague now Franklin Co., Massachusetts it was Hampshire Co. He and Esther are buried in the Burnham Cemetery. 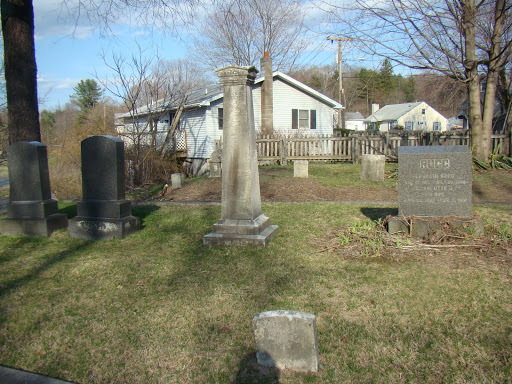 This Philip is the son of Philip and Hannah Goss who I just visited buried in the Evergreen Cemetery in Winchester, NH. I had a little problem finding the cemetery but again dump luck. It is on High Street and off Turnpike Road. The sign is missing? 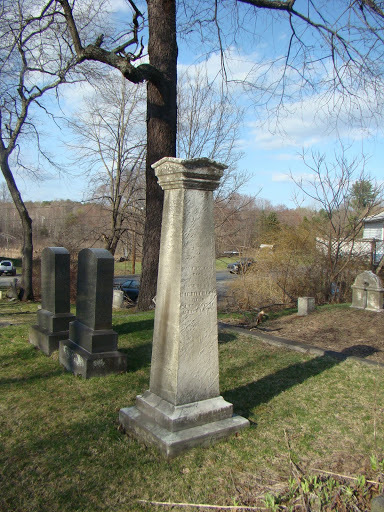 The Find A Grave has a listing. It is very small cemetery which was good because I was really getting tired and hungry. There is writing on all the sides of this tombstone. Philip’s side is on the other side to the right facing away from me. I think it is west? Find A Grave has a great photo of this stone. I was dealing with low light and back lighting as the sun set behind me so mind were not doing as well. More information is at Find A Grave on this family. 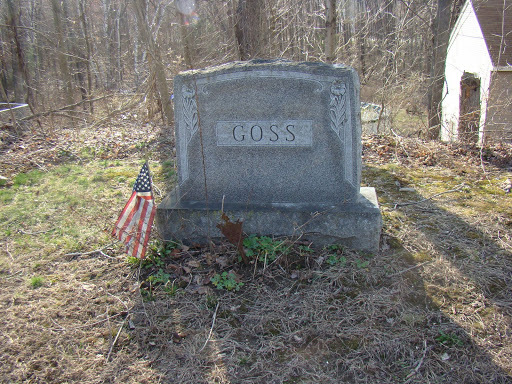 Philip Goss born Oct. 17, 1757 Lancaster, Worcester Co., Died Jun. 23, 1840, Montague, Franklin Co., MA. 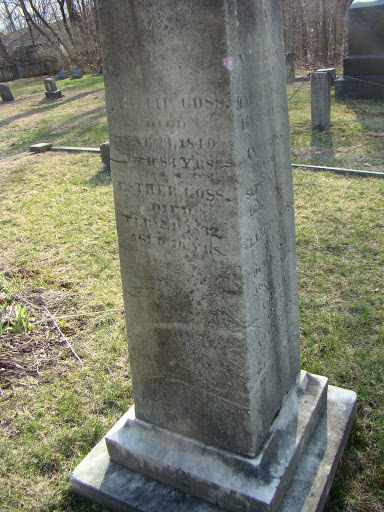 Esther Goss born 1756 (I have 13 Jul 1755, Sutton, Worcester Co., MA -Goss Newsletter), died Feb. 21, 1831 in Greenfield, Franklin Co., MA. I have more photos and will upload them later. Watch for a post that gives the links to them. There are other families close to these stones and that is very interesting. I was tried and hungry but very pleased and happy that I was able to find these two Philip Goss’, father and son. The manuscript that David Goss prepared that I mentioned in the last post covers many of the descendants of Philip and Hannah Goss, but for some reason he does not talk much about Philip Goss and Esther who went to Montague. This is not a criticism but more an observation on his writing. I know that there is always never enough time nor money to do genealogy. The important point is that this is definitely a whole family line that went in another direction from the Philip Goss IV that Paul H. Goss talked about in his manuscripts and articles. The Goss Obelisk surrounded by other stones? 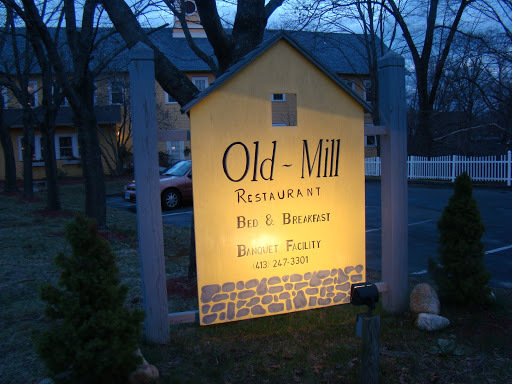 Once I was done at the Burnham Cemetery my goal was to get to Hatfield and check in at the Old Mill Inn. I headed south on Hwy 47. 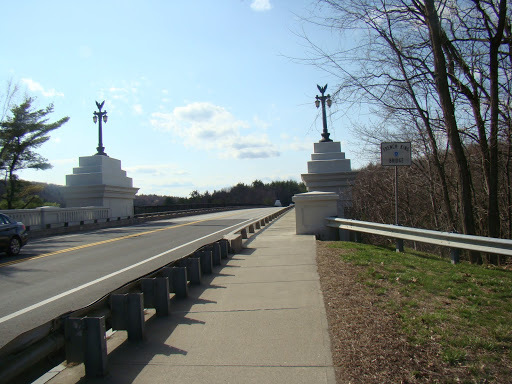 Another bridge crossing over the Connecticut River to South Deerfield. I sought out River Road and headed south again to Hatfield another long township and I finally turned west on School St. I was going to stop and have dinner at Mamma Maria’s in Hatfield but I found the Fish Tales instead and it seemed to be in the same location? Apparently the information on the Internet is old and Mamma Maria’s is long gone by 2 years. Fish Tales gave me a good dinner of Atlantic Salmon. So I was happy. Oh and tartar sauce which is a food group (a quote from Bert Simpson the cartoon character that I have expanded on). The bar was lively and they had this huge TV on the wall and Law and Order was on? Hmmm….no sports? 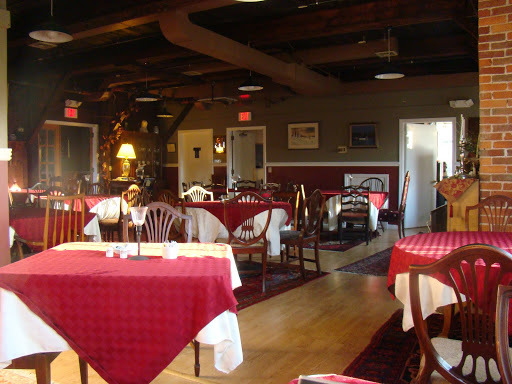 According to the waitress at the Fish Tales the Old Mill Inn was just down the road. I followed her advice and was able to find it fairly easily. You can’t miss it. The Mill is bright yellow and a good size. Me, well I had a big day and I was very tired. I was soon in bed.